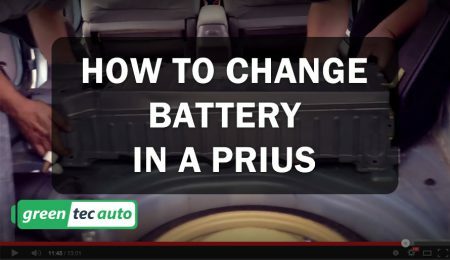 SACRAMENTO (FOX40) — The Sacramento Police Department is warning Prius drivers to be aware of battery theft. The Sacramento Police Department is warning Prius drivers to be aware of battery theft. Police say three Priuses had batteries stolen in downtown Sacramento over the past two weeks. “It concerns me very much,” said Prius owner Kathleen Taylor. Taylor owns two Priuses. She says she’s alarmed hearing about the crime spree. “I don’t know how they would get to it! ?” Taylor said. The hybrid’s batteries are in the trunk behind the spare tire. They weigh more than 100 pounds. Technicians at GreenTec Auto in Rancho Cordova say removing them takes about 20 to 30 minutes. It’s difficult and dangerous. “If anyone without knowledge goes into it, they could potentially hurt themselves,” said technician Andre Mitrofanov. Mitrofanov says thieves could get shocked. Prius batteries sell for more than $1,000. “Even if they’re in bad condition they’re valuable for the recycling,” Mitrofanov said. Without a battery, the hybrid won’t go anywhere. Sacramento police say there is a way drivers can protect themselves. “If you can park your vehicles inside of a garage, that’s the best thing to do. Other than that, you want to back your vehicle into a parking space,” said Sacramento Police spokesperson Justin Brown. Taylor is taking that advice. She’s carefully picking her parking spots, giving thieves little room to break in. Replacing Prius’ hybrid batteries costs several thousand dollars. Anyone with information about the incidents is asked to call the Sacramento Police Department.